I was a Religious Studies major when I enrolled at UA, and I graduated with a double major in Religious Studies and Geography. I graduated in 2015. I actually transferred in as a junior from a different college. I was pretty sure I would work for the Episcopal Church in some way. My Religion in Film class with Dr. Trost was one of my favorites. I took it as a higher-level independent study and ended up writing my paper on the “Church of Football” after having watched “Bull Durham” and discussing the Church of Baseball. It seemed like the most Alabama paper I could write. I am now the Director of Youth and Young Adult Ministry at the Cathedral of St. Philip in Atlanta, GA. I started off as a Youth Ministry Intern when I graduated from Alabama, and I started running the programs the next year. I feel like my background in Religious Studies really helped with this because it allowed me to have the deep thinking and reasoning skills to help my youth dig deeper into their faith. It is also helpful in helping draw different religious narratives together. I would definitely say that the skills of some of my REL undergrad classes are still useful! It might be a little hard to pin point what specifically because I do work in a religious field, but I will say that having a well rounded background in critical thinking and world religions allows me to not just speak at my youth, but really engage them in discussion. Take better notes in your books! It will come in handy when a question comes up at work. 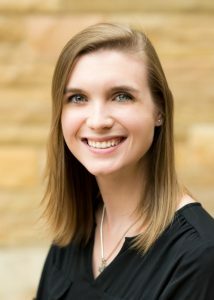 This entry was posted in Faculty Blog, Grad Blog, Series and tagged #GradTales, 6 Questions, Careers, Grads, Maggie Paul, Youth Ministry by Ellie Cochran. Bookmark the permalink.